Can I give discount to the first 200 people who buy tickets? Go to discounts in the main menu. This is for internal use only (not visible to the ticket buyer). Give it a name like "Early Bird November 2018" so you can easily recognise it. This is the type of discount. Set this as Early Bird. How many Early Bird tickets will be available for sale. This determines the time period of when the discount is active. Here you choose whether the discount should be given in price or in percentage and how many £ or % the discount is. Description field is the text displayed on the event page. This should tell the ticket buyer who can get a discount and how much the discount is. Where should the discount apply? 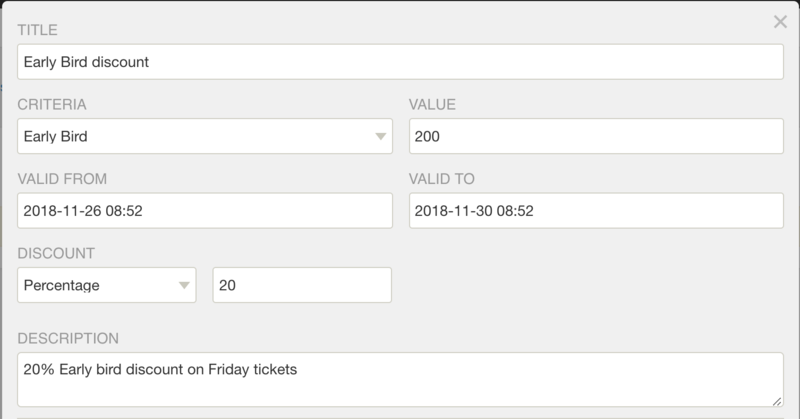 The last thing you have to do is associate the discount with event and ticket types. You may not want the discount to apply to all sales, but only for specific events and tickets. 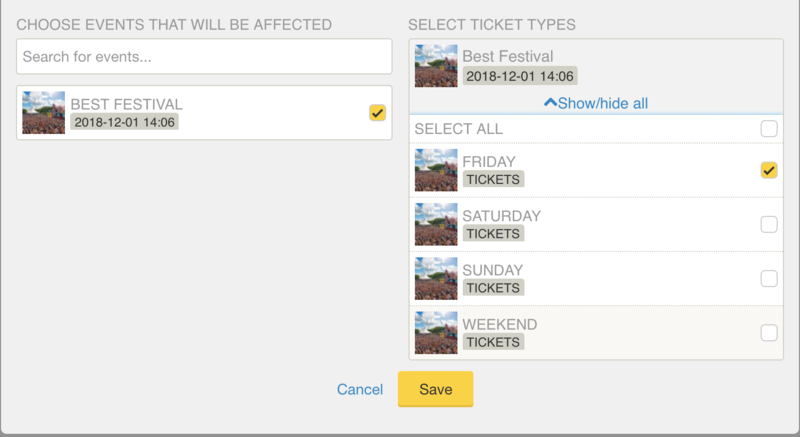 You can easily activate the discount for multiple ticket types spread across multiple events.